Our brunches and morning-afters wouldn’t be the same without the Red Snapper. But how did this iconic, hair-of-the-dog serve come to be? Read on to learn all about the cocktail’s origins. Bloody Marys are good, but Red Snappers are better. Instead of vodka, Red Snappers call for gin—and if you ask us, it’s an improvement on the original recipe. Against the blood-red tomato juice and the spicy heat, gin’s juniper-led botanicals are a marvelous addition. Both the Bloody Mary and the Red Snapper are such timeless serves that it feels like they’ve always been with us. But—as with most cocktail lore—their origins actually include plenty of surprising twists and turns. One common story traces the Bloody Mary to the iconic Harry’s New York Bar in Paris. There, a bartender called Fernand “Pete” Petiot supposedly debuted the recipe in 1921. 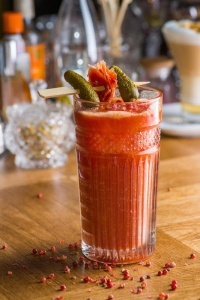 At that time, the Bloody Mary was a simple serve of Russian vodka mixed with tinned tomato juice, and was absent any of its now-characteristic spice and pep. Following his stint in Paris, Petiot later relocated to New York after the end of Prohibition, and took a job behind the stick at the St. Regis’s elegant King Cole Bar. There, the Bloody Mary took on a new personality, thanks to later additions of lemon juice, cayenne, Worcestershire sauce, and salt and pepper. 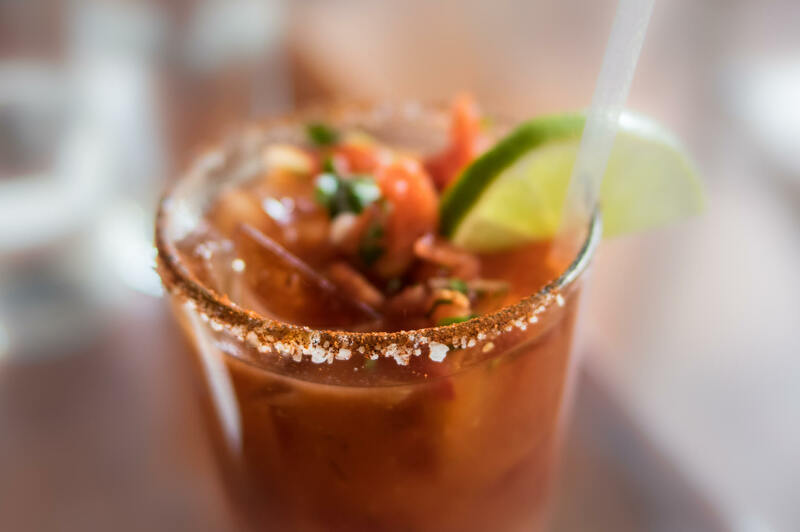 When the Bloody Mary was first invented, it was only a simple mix of vodka and tomato juice—the Red Snapper was born later. And those weren’t the only changes afoot: significantly, vodka wasn’t easily accessible in the United States after Prohibition, so gin was swapped in. The cocktail’s name, too, underwent a rebrand, as hotel management—the elite Astor family—felt that “Bloody Mary” was too vulgar. (Disparate theories abound regarding that name: some attribute it to Mary Tudor, others to a bartender in Chicago’s Bucket of Blood Saloon, and still others to socialite Mary Brown Warburton. We’ll likely never know the truth.) And so the uncontroversial Red Snapper was officially born. Of course, as with all classic cocktail legends, there are competing theories as to the drink’s beginnings. Comedian George Jessel claimed in his memoir that he was in fact the Bloody Mary’s creator; Petiot himself acknowledges some collaboration on Jessel’s behalf. However it came to be, we’re just pleased the drink exists. Fancy making a Red Snapper yourself? Luckily, it takes only minutes to put together, so save the serve for a morning when its healing balm will be most appreciated. While some recipes counsel you to “throw” your Red Snapper between mixing glasses, that’s tricky on days when your hand-eye coordination may not be at its best. And so, give the following recipe—which calls for the drink to be mixed up in a single glass—a go instead. This simple Red Snapper recipe calls for the drink to be mixed right in the glass—perfect for weekend brunches. Fill a highball glass up to the top with ice, and add all of the ingredients. Stir gently to blend with a bar spoon before garnishing with the celery salt and pepper, and either a celery stick or lemon slice—whatever you prefer.